Only around one quarter of attendees think that market volumes are likely to decrease over the next two years. A further 35 per cent expect amounts to grow steadily. However, a good 40 per cent of those surveyed predict that scrap volumes will increase strongly going forward. 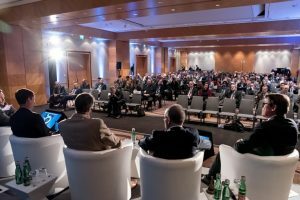 The basis for this synopsis of opinion is a survey organised by the IARC Steering Committee among participants at the annual IARC industry meeting. 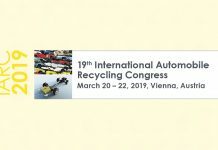 The results are summarised in the „Industry Barometer IARC 2019“ for the automotive recycling sector, which has been published for the first time at this year’s congress in Vienna. Although the results are not representative, they do meaningfully reflect a consensus of opinion across the sector. Around 56 per cent of those surveyed described the current economic situation as favourable. A good 30 per cent assess today’s conditions as unchanged compared with the previous year. Every seventh person is dissatisfied with current business performance. Around 46 per cent of survey participants described current volume trends as positive. A further 41 per cent see market quantities as unchanged compared with the last two years. Only 13 per cent of the attendees surveyed described current volume trends as negative. When asked about the factors influencing business performance, the participants pointed in particular to the growing level of uncertainty surrounding global economic development. International trade conflicts, the slowing down of growth in China and the upcoming Brexit were named as the main points. However, the resulting impact on prices for nonferrous metals and scrap steel are very difficult to predict, they said. On the other hand, participants also stress that the economic outlook in Europe remains good – even though the pace of growth is likely to diminish somewhat in the course of the current year. Two factors that continue to occupy the industry are the significant number of end-of-life vehicles exported to countries with lower waste disposal standards and the sometimes inconsistent legal requirements among EU states. Moreover, there are indications, particularly from Germany, that incineration capacities for high-calorific shredder residues are increasingly lacking. 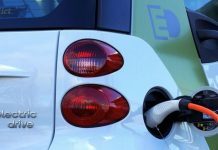 The topic of electric mobility is also playing a key role and continues to pose a number of questions. Firstly with regard to the number of electric cars likely to be sold over the next few years and secondly regarding the materials that are going to need recycling going forward. 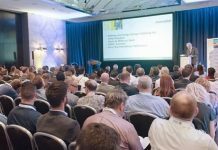 The question of which type of ownership model for electric batteries is likely to prevail is also open. In general, a number of participants are warning that increased chemical regulation could have a dampening impact on recycling volumes.